The body of 84 year old Bertha Lemell was found on the floor of her Beaumont home with 26 stab wounds to the head, trunk, and abdomen. Her coin purse, missing cash, was found on the floor near her body. Lernell’s residence showed no sign of forced entry. Wolfe, who lived in the same neighborhood as the victim, was seen within a few blocks of the crime scene shortly before and shortly after the murder. Blood collected from throughout the victim’s home was tested and confirmed through DNA testing as coming from Wolfe. Wolfe was previously convicted in Kansas in 1985 for robbery, and in Louisiana for robbery in 1990. Wolfe v. State, 917 S.W.2d 270 (Tex.Cr.App.,1996)(Direct Appeal). Ex parte Wolfe, 977 S.W.2d 603 (Tex.Crim.App.,1998)(State Habeas). Fried chicken legs, fried pork chops, barbecue ribs, french fries, peach cobbler and a banana. In a final statement while strapped to a gurney in the death chamber, Wolfe thanked family and friends for their support during the years leading up to his execution. "I will be OK. I am at peace with all of this and I won't have to wake up in prison any more. I love you all. I totally surrender to the Lord. I am ready, Warden." The body of eighty-four year old Bertha Lemell was found on the floor of her Beaumont home on February 15, 1992. According to the medical examiner, the victim had twenty-six stab wounds to the head, trunk, and abdomen. Lemell’s coin purse was found on the floor near her body. Lernell’s residence showed no sign of forced entry. A friend of the victim had taken Lemell shopping on the day of the murder, and she saw Lemell pull out $60 in cash, pay for groceries with less than twenty dollars, and put the remaining money back into her coin purse. After the murder, police officers arriving at the scene found the coin purse on the floor, unlatched, and containing only a single coin. Wolfe, who lived in the same neighborhood as the victim, was seen within a few blocks of the crime scene shortly before and shortly after the murder. Blood was collected from the victim’s floor, dresser, two bathroom towels, coin purse, front doorknob, and a knife found at the scene. These blood samples were subjected to DNA testing by the FBI and a private laboratory. The blood on both towels, the victim’s floor, and the victim’s dresser was consistent with Wolfe’s genetic markers. Mar. 12, 1992 — A Jefferson County grand jury indicted Wolfe for capital murder. Oct. 21, 1993 — A jury found Wolfe guilty of capital murder. Oct. 25, 1993 — The court assessed a sentence of death, following a punishment hearing. Mar. 6, 1996 — Wolfe’s conviction and sentence were affirmed by the Texas Court of Criminal Appeals. Mar. 20, 1997 — Wolfe filed an application for writ of habeas corpus in the state trial court. May 20, 1998 — Wolfe’s application for writ of habeas corpus was denied by the Court of Criminal Appeals. June 4, 1998 — Wolfe filed a petition for writ of habeas corpus in a federal district court. Sept. 23, 2003 — The federal district court denied Wolfe’s petition. Nov. 25, 2003 — The federal district court granted permission to appeal, in part. Feb. 25, 2004 — Wolfe requested permission from the 5th U.S. Circuit Court of Appeals to appeal additional issues. Nov. 10, 2004 — The Fifth Circuit affirmed the district court’s denial of habeas relief. Dec. 15, 2004 — The Fifth Circuit declined to rehear the case. Mar. 9, 2005 — Wolfe filed a petition for writ of certiorari in the U.S. Supreme Court. Wolfe was previously convicted of robbing a convenience store in Houma, Louisiana, in 1989. Wolfe also confessed to committing an armed robbery in 1983 while enlisted in the U.S. Army and posted in Louisiana. Bryan Eric Wolfe was convicted in the robbery and murder of 84-year-old Bertha Lemell at her home in Beaumont, Texas. Bertha was found on the floor of her home on February 15, 1992, after she had been stabbed 26 times with a knife inside her home. She had wounds to the head, torso and abdomen. Her coin purse was ground on the floor near her body and her residence showed no signs of forced entry. A friend of the victim had taken Bertha shopping on the day of the murder, and she saw Bertha pull out $60 in cash, pay for groceries with less than twenty dollars, and put the remaining money back into her coin purse. After the murder, police officers arriving at the scene found the coin purse on the floor, unlatched, and containing only a single coin. Wolfe, who lived in the same neighborhood as the victim, was seen within a few blocks of the crime scene shortly before and shortly after the murder. Wolfe cut himself during the attack, trailing blood out the front door to the driveway. A bloody knife was found at Wolfe's home and police discovered blood inside Wolfe's wife car after he had driven the vehicle. Blood was collected from the victim’s floor, dresser, two bathroom towels, coin purse, front doorknob, and a knife found at the scene. These blood samples were subjected to DNA testing by the FBI and a private laboratory. The blood on both towels, the victim’s floor, and the victim’s dresser was consistent with Wolfe’s genetic markers. Wolfe had a prior criminal record in Kansas in 1985 for robbery for which he was paroled in 1986. He also had been sentenced to three years in Louisiana for robbery in 1990 and was released in 1991. 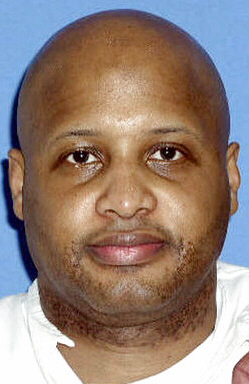 Bryan Eric Wolfe, 44, was executed by lethal injection on 18 May 2005 in Huntsville, Texas for the robbery and murder of an 84-year-old woman. On 15 February 1992, the body of Bertha Lemell was found on the floor of her Beaumont home. She had been stabbed 26 times in the head, trunk, and abdomen. Her coin purse was found on the floor near her body. It was unlatched and empty, save for a single coin. There were no signs of forced entry into the home. There was blood all over the house, including the victim's bedroom, the bathroom, the front door, and the driveway. Some blackeyed peas were scattered on the floor. Bryan Wolfe, then 31, lived in the same neighborhood as Lemell. According to trial testimony, the victim and Wolfe's wife were close friends, and Lemell babysat the couple's children. Wolfe was seen in the neighborhood shortly before and shortly after the murder. He was arrested two days later. He had deep cuts on his right hand. In a statement to police, Wolfe said that he had never met the victim and was at a church barbecue all afternoon on the day of the killing. He said that he cut his hand on a broken beer bottle. Wolfe's DNA was matched to a bloody towel found in the victim's home, as well as to other blood samples taken from the crime scene. At Wolfe's trial, a friend of the victim testified that she had taken Lemell shopping on the day of the murder. She saw Lemell take $60 in cash out of her coin purse, pay for less than $20 worth of groceries, and put the rest of the money back in her coin purse. Witnesses testified that Lemell kept blackeyed peas in her purse for good luck. Wolfe had a prior conviction for robbing a convenience store in Louisiana in 1989. He also had a robbery conviction in Kansas. He briefly served prison time in both states. A psychologist testifying for the defense blamed Wolfe's actions on intoxication. A jury convicted Wolfe of capital murder in October 1993 and sentenced him to death. The Texas Court of Criminal Appeals affirmed the conviction and sentence in March 1996. All of his subsequent appeals in state and federal court were denied. "I will be OK," Wolfe said in his last statement. "I am at peace with all of this, and I won't have to wake up in prison anymore." Wolfe also expressed love to his friends and relatives. The lethal injection was then started. He was pronounced dead at 6:31 p.m. The state of Texas is scheduled to execute Bryan Wolfe, a black man, on May 18, 2005 for the Feb. 1993 murder of Bertha Lemell, a black woman, in Jefferson County. In Feb. of 1993, Bertha Lemell was fatally stabbed in her home in Beaumont, Texas. Serology and DNA tests conducted on blood found at the scene of the crime linked Wolfe to the murder. Because Wolfe lacked the financial resources needed to secure private counsel, he was represented at trial by a court-appointed attorney. There are many indications that Wolfe’s trial counsel, who was admittedly overburdened with other cases, did not offer adequate representation. During the pre-trial period, Wolfe’s trial counsel failed to adequately prepare for Wolfe’s defense. He admits that he met with Wolfe only once and did not interview any witnesses during this period. Lastly, Wolfe’s trial counsel failed to call any witnesses to testify on behalf of Wolfe or introduce any mitigating evidence at the trial’s penalty phase. Without any mitigating evidence to counter the aggravating evidence offered by the prosecution, this “strategy” virtually assured that the jury would impose a sentence of death on Wolfe. Wolfe’s claim of ineffective assistance of counsel clearly has merit. While capital punishment is an abhorrent practice that always lacks justification, it is particularly objectionable in this case because Wolfe was not afforded adequate representation at trial and during part of the appeals process. Please write to Gov. Rick Perry and urge him to stop the execution of Bryan Wolfe. HUNTSVILLE – A twice-convicted robber from Louisiana was executed Wednesday evening for the fatal stabbing of his children's 84-year-old babysitter during a robbery. Bryan Wolfe expressed love to relatives and friends who were watching through a window a few feet away, telling them he appreciated their support. "I will be OK," Wolfe said. "I am at peace with all of this and I won't have to wake up in prison any more." "I totally surrender to the Lord." As the drugs began taking effect, Wolfe gasped slightly several times and turned his head toward the witnesses, his eyes open. A sister on the other side of the window also began gasping for air and had to be carried from the death house. Wolfe was pronounced dead at 6:31 p.m., 10 minutes after the lethal dose began. Wolfe, 44, was on parole from Louisiana and had fled a work-release program when he was arrested for the 1992 slaying of Bertha Lemell at the woman's home in Beaumont. Lemell had been stabbed 26 times. Around $40 was believed taken from the woman's change purse, which also had contained some black-eyed peas she carried for good luck. Wolfe's lethal injection was the seventh this year in Texas, the nation's most active death penalty state. Another execution was set for Thursday. HUNTSVILLE, Texas – A twice-convicted robber from Louisiana was headed to the Texas death chamber Wednesday evening for the fatal stabbing of his children's 84-year-old babysitter during a robbery. Bryan Wolfe, 44, was on parole from Louisiana and had fled a work-release program when he was arrested for the 1992 slaying of Bertha Lemell at the woman's home in Beaumont. She had been stabbed 26 times. Around $40 was believed taken from the woman's change purse, which also had contained some black-eyed peas she carried for good luck. Wolfe's lethal injection would be the seventh this year in Texas, the nation's most active death penalty state. Another execution was set for Thursday. The U.S. Supreme Court this week refused to review Wolfe's case, and no late legal efforts to block the punishment were attempted. "There's really nothing we can do," said his appeals lawyer, Michael Jamail. Earlier appeals contended Wolfe's court-appointed trial lawyer was incompetent and ill-prepared to address the then relatively new DNA technology authorities used to link Wolfe to the killing. Wolfe, from Houma, La., was seen in Lemell's neighborhood shortly before and after the slaying, according to court documents. When he was picked up by police two days later, he had deep cuts on his right hand. He said they were from a broken beer bottle. Authorities believed he cut himself with the knife while he was stabbing the woman. DNA from blood samples on a door knob, the floor and towels at Lemell's house, plus on the black coin purse and a knife found at the scene, matched Wolfe's DNA. Wolfe had been to prison after confessing to an armed robbery in Louisiana while serving in the Army in 1983, then another robbery in Houma in 1989. He blamed marijuana and cocaine for his crimes. He was released from a Louisiana prison in 1991 after one year of a three-year sentence. Court records showed he absconded from a work-release center. Less than three months later, Lemell was killed. She had been watching his two children while his wife worked. "He didn't have a very good past, and it was just a truly despicable crime," said Ed Shettle, the Jefferson County assistant district attorney who prosecuted Wolfe. "If you are going to steal something, money from somebody who knows you and you don't want to get caught, what are you going to do? You are going to murder them. And that's what he did." Leo Lemell, the slain woman's 80-year-old cousin, said the years since Wolfe was given the death penalty have been difficult. "It always frustrates you when something runs on and on and on," he said. "They need to get it over with one way or another." My name is Bryan Eric Wolfe. I'm 35 years old, a native Black American, who is currently on death row in the State of Texas. I'm looking for a pen-pal. I would like to write someone from Australia who's interested in writing to me. All I ask is this person be very understanding of my present position of Death Row. I'm a very open-minded person who enjoys lots of hobbies such as reading, craft works, arts and drawing, playing basketball, etc. I've been on Death Row for 2 years now and hopefully I can learn many things about the country of Australia. A twice-convicted robber from Louisiana was executed Wednesday evening for the fatal stabbing of his children's 84-year-old babysitter during a robbery. Wolfe, 44, was on parole from Louisiana and had fled a work-release program when he was arrested for the 1992 slaying of Bertha Lemell at the woman's home in Beaumont. Lemell had been stabbed 26 times. Around $40 was believed taken from the woman's change purse, which also had contained some black-eyed peas she carried for good luck. Wolfe's lethal injection was the seventh this year in Texas, the nation's most active death penalty state. Another execution was set for Thursday. The U.S. Supreme Court this week refused to review Wolfe's case, and no late legal efforts to block the punishment were attempted. "There's really nothing we can do," said his appeals lawyer, Michael Jamail. Earlier appeals contended Wolfe's court-appointed trial lawyer was incompetent and ill-prepared to address the then relatively new DNA technology authorities used to link Wolfe to the killing. Defendant was convicted in the 252nd District Court, Jefferson County, Leonard J. Giblin, J., of capital murder and sentenced by jury to death. Automatic appeal was taken, and the Court of Criminal Appeals, Keller, J., held that: (1) evidence was sufficient to support defendant's conviction and to establish that defendant had committed underlying felony of robbery; (2) prospective jurors were properly stricken for cause based on their stated difficulties with imposing death penalty; (3) prospective juror who had successfully completed probation following felony conviction but had not been formally released of all legal disabilities was properly stricken for cause; (4) lesser included offense instruction was properly rejected; (5) statements by prosecutor did not violate defendant's Fifth Amendment rights; and (6) trial court properly declined to hold hearing on voluntariness of defendant's confession to earlier offense which was admitted during penalty phase. Affirmed. Appellant was convicted of the capital murder of Bertha Lemell committed on February 15, 1992, in Jefferson County. The jury answered the punishment issues in the State's favor, and appellant was sentenced to death. Direct appeal to this Court is automatic under Article 37.071 § 2(h) Appellant raises thirteen points of error on appeal. We will affirm. Evidence presented at trial established the following: The body of 84 year old Bertha Lemell was found on the floor of her home, along with a change purse and some scattered coins. A number of black-eyed peas were also strewn on the floor. According to the testimony of a medical examiner, the victim had twenty-six stab wounds to the head, trunk, and abdomen. Blood found at the crime scene was subjected to serology and DNA tests. A serologist testified that the physical characteristics found in appellant's blood matched blood found at the crime scene and that those characteristics occurred in only 0.2 percent of the African-American population. The DNA test results showed that appellant's blood and the blood found at the crime scene shared a DNA pattern that was estimated to appear in approximately 1 in 10 million Caucasians, in approximately 1 in 1.7 million African-Americans, and in approximately 1 in 8.2 million Hispanics. Testimony at trial showed that Lemell was a close friend of appellant's wife, that appellant lived in the same neighborhood, and that he was seen within a few blocks of the crime scene shortly before and shortly after the murder. The residence showed no sign of forced entry. The evidence also showed that appellant had a cut on his fingers shortly after the murder. Viewed in the light most favorable to the verdict, the blood evidence, appellant's proximity to the crime scene, and the cut on his fingers are sufficient to support the jury's conclusion that appellant perpetrated this offense. Point of error six is overruled. b. Underlying offense In point of error five, appellant argues that the evidence is insufficient to support the underlying felony of robbery. Testimony showed that Lemell routinely kept money in a coin purse. She also kept black-eyed peas in her purse for good luck. Brenda Vallian, a friend of the victim, testified that she took Lemell shopping on the day of the offense and that she saw Lemell pull out sixty dollars in cash, pay for groceries with less than twenty dollars, and put the remaining money back into her coin purse. After the murder, police officers arriving at the scene found the coin purse on the floor, unlatched, and containing only a single coin. Blood was found inside the coin purse, although there was not enough to complete a DNA analysis. Coins and black-eyed peas were scattered on the floor of Lemell's otherwise tidy home. Blood was found on top of a locked armoire. Appellant argues that this evidence is insufficient to show a robbery because it does not show a completed theft and it does not show that he intended to steal anything. He points out that more money was found at the scene than Lemell had received the day prior to the offense. He also argues that the presence of coins on the floor merely indicates that a struggle took place. Proof of a completed theft is not required to establish a robbery. Demouchette v. State, 731 S.W.2d 75, 78 (Tex.Crim.App.1986), cert. denied, 482 U.S. 920, 107 S.Ct. 3197, 96 L.Ed.2d 685 (1987). While an intent to steal must be shown in order to prove an attempted theft, this intent may be inferred from circumstantial evidence. McGee v. State, 774 S.W.2d 229, 235 (Tex.Crim.App.1989), cert. denied, 494 U.S. 1060, 110 S.Ct. 1535, 108 L.Ed.2d 774 (1990). A rational jury could believe that appellant's cut fingers, the blood in the coin purse, the fact that the purse was unlatched, and the scattered coins on the floor proved that appellant reached into the coin purse in an attempt to steal money from Lemell. The jury could also believe that the blood on the top of the locked armoire indicated that appellant had searched there in an effort to find money. Point of error five is overruled. Background: After conviction for capital murder was affirmed on appeal, 917 S.W.2d 270, petition was filed for writ of habeas corpus. The United States District Court for the Eastern District of Texas denied petition. Petitioner appealed. (3) petitioner failed to exhaust claim that defense counsel was ineffective for failing to call petitioner's wife as a mitigation witness during punishment phase. Affirmed. Petitioner Bryan Eric Wolfe was convicted of capital murder in Texas state court and sentenced to death. After exhausting his state remedies, Wolfe applied for federal habeas relief. The district court denied Wolfe's application for a writ of habeas corpus, but it granted Wolfe a certificate of appealability (COA) for his ineffective assistance of counsel claim. As part of this appeal, Wolfe asks this court for a COA on an additional issue: whether his ineffective assistance claim falls within the presumed prejudice exception. After considering these issues on appeal, this court denies Wolfe's request for a COA and affirms the judgment of the district court. The Texas Court of Criminal Appeals summarized the evidence presented during trial in its opinion on direct appeal: The body of 84 year old Bertha Lemell was found on the floor of her home, along with a change purse and some scattered coins. A number of black-eyed peas were also strewn on the floor. According to the testimony of a medical examiner, the victim had twenty-six stab wounds to the head, trunk, and abdomen. Blood found at the crime scene was subjected to serology and DNA tests. A serologist testified that the physical characteristics found in [Wolfe's] blood matched blood found at the crime scene and that those characteristics occurred in only 0.2 percent of the African-American population. [Wolfe is African-American.] The DNA test results showed that [Wolfe's] blood and the blood found at the crime scene shared a DNA pattern that was estimated to appear in approximately 1 in 10 million Caucasians, in approximately 1 in 1.7 million African-Americans, and in approximately 1 in 8.2 million Hispanics. Testimony at trial showed that Lemell was a close friend of [Wolfe's] wife, that [Wolfe] lived in the same neighborhood, and that he was seen within a few blocks of the crime scene shortly before and shortly after the murder. The residence showed no sign of forced entry. The evidence also showed that [Wolfe] had a cut on his fingers shortly after the murder. Because no one witnessed the crime, the State obtained Wolfe's conviction based on DNA analysis of the blood collected at the crime scene. During the sentencing portion of Wolfe's trial, the prosecutor presented evidence that: Wolfe confessed to committing armed robbery in 1983; Wolfe was convicted for committing another robbery in 1989; after serving time in prison for the robbery, Wolfe was paroled on work release; and Wolfe absconded from the work release center. In defense, Wolfe's trial attorney, Harold Laine, presented evidence from a psychologist who opined that Wolfe would not be dangerous in an institutional setting and attributed Wolfe's actions to intoxication. Laine also called a correctional officer who testified that Wolfe had been assaulted while in custody awaiting trial. After considering this evidence, the jury determined that a probability existed that Wolfe would commit criminal acts of violence that would constitute a continuing threat to society, and insufficient mitigating circumstances existed to warrant a sentence of life imprisonment rather than death. Accordingly, the state trial court entered a judgment sentencing Wolfe to death. The Texas Court of Criminal Appeals affirmed that judgment on direct appeal. Wolfe then moved for habeas relief in state court. As part of his state habeas proceeding, Wolfe argued that Laine was ineffective because he failed to prepare for trial. In particular, Wolfe complained that Laine did not prepare to challenge the State's DNA evidence. Wolfe contended that Laine's failures substantially impaired his defense and should be considered the only reason he received the death penalty. The state habeas judge, who was also the trial judge, however, determined that Laine's performance was not deficient. After reviewing the record and the habeas judge's findings, the Texas Court of Criminal Appeals denied Wolfe's application for habeas relief. Wolfe then applied for federal habeas relief on various grounds to include ineffective assistance of counsel. The United States Magistrate Judge presided over pretrial proceedings. Initially, the magistrate judge granted Wolfe's request for discovery concerning biological evidence and DNA testing conducted prior to trial. The magistrate judge also authorized funding for DNA testing and an evidentiary hearing. Later, however, the magistrate judge stayed further proceedings so Wolfe could take advantage of a newly-enacted state DNA testing statute. The results of further testing did not favor Wolfe. The magistrate judge then proceeded to consider Wolfe's application for habeas relief and issued a report that recommended denying Wolfe's application. Because Wolfe objected to the report, the district court conducted a de novo review. After its review, the district court denied Wolfe's application. In regard to Wolfe's ineffective assistance of counsel claim, the district court found that Wolfe had not shown he was prejudiced by his attorney's failure to better prepare himself for challenging the State's DNA evidence. Although not explicitly stated, the district court implicitly determined that the state court's disposition of the claim was not an unreasonable application of clearly established federal law. After denying Wolfe's application, the district court granted Wolfe a COA for his ineffective assistance claim, but denied his request for a COA for the presumed prejudice issue. In this appeal, Wolfe asks this court for a COA on the latter claim. The district court carefully considered the arguments presented in Wolfe's federal habeas application. Rather than determine whether each specific complaint constituted ineffective assistance, or whether the totality of Laine's purported failures constituted ineffective assistance, the district court considered Strickland's prejudice question. In considering prejudice, the district court correctly determined that Wolfe had not shown he was prejudiced by Laine's purported failures. Although the state habeas court disposed of Wolfe's state habeas application differently than the district court disposed of Wolfe's federal application, the state court's decision is not contrary to, and does not involve an unreasonable application of, clearly-established federal law. As a result, this court AFFIRMS the judgment of the district court.